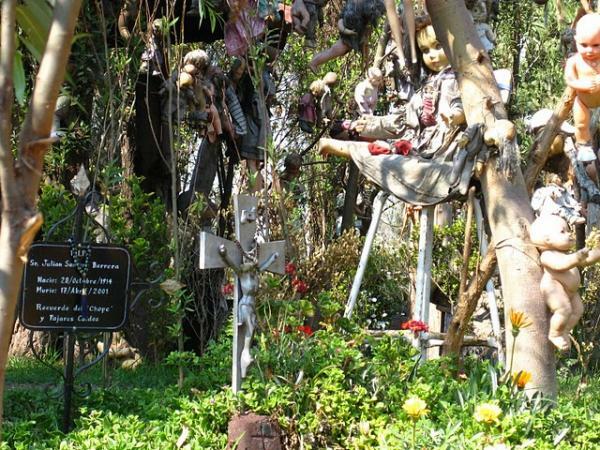 Haunted dollhouses, art dollhouses, miniatures of a strange and uncanny nature. 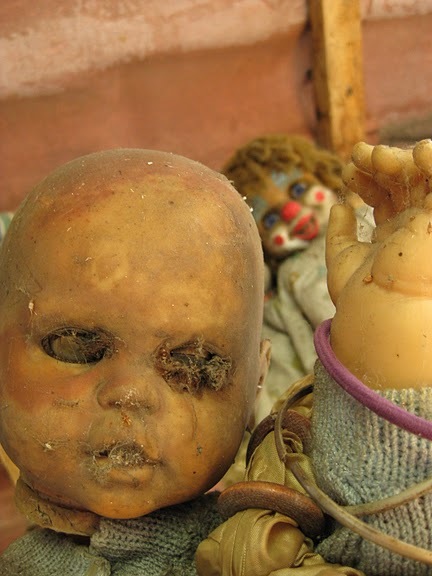 Back in July of 2010, I wrote a blog post entitled The Haunted Dollhouse in which I briefly discussed this interesting and unconventional approach to the miniature house. 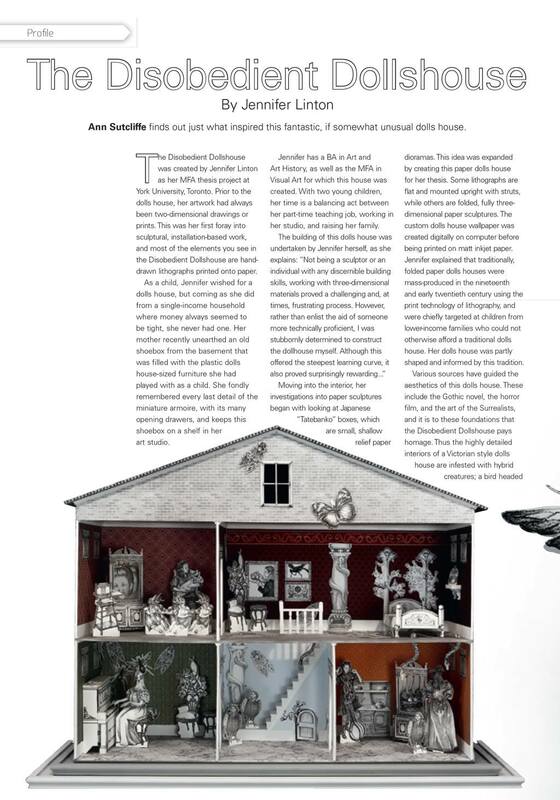 Created by artists and hobbyists alike, the haunted dollhouse can range greatly from the kitschy, Halloween-themed miniature festooned with cotton-batting cobwebs and tiny jack o’ lanterns, to epic, post-apocalyptic landscapes created in miniature scale by a team of artists. Now, before I venture further in my discussion, I should define my use of the word dollhouse and explain that I’m employing it in the broadest possible sense. While the spooky Halloween-themed dollhouse can be more readily defined as a house, the post-apocalyptic landscape — while still miniature in scale — is less traditionally identifiable as such. Both, however, are miniatures that share a common link to the uncanny (see below). 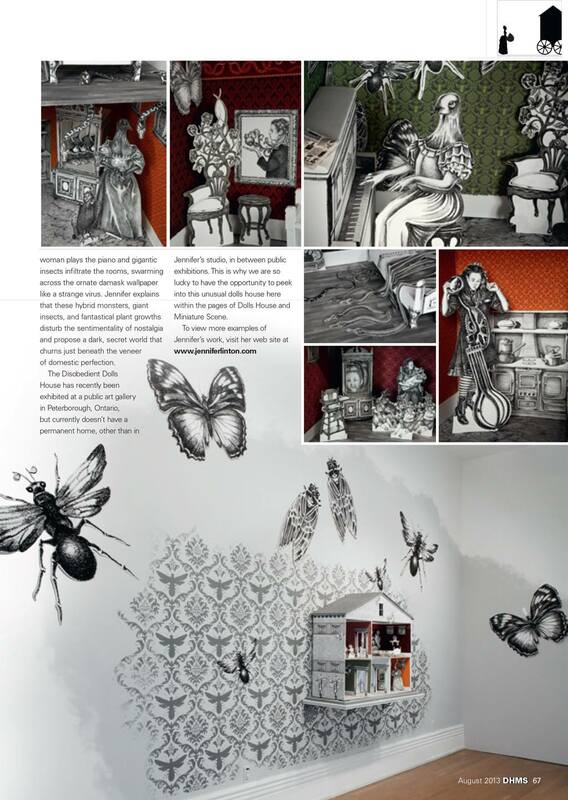 To reiterate, the uncanny is a sense of discomfort within the familiar setting of the home. I would argue that since the dollhouse is already imbued with an element of the uncanny, it’s not a far stretch to imagine and reconfigure the miniature as a nightmarish, dystopic space. 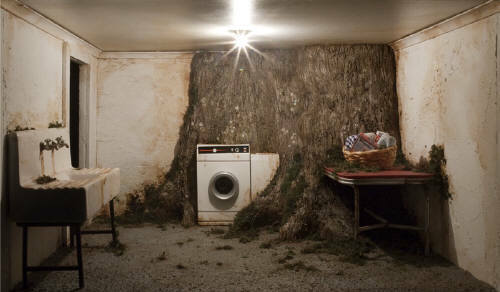 This may have been the thought-process behind the Apocalyptic Manhattan (in an Apartment) project created by Swedish artist Magnus Johannson and his team when they designed and constructed the fifty miniature buildings of their mangled landscape. 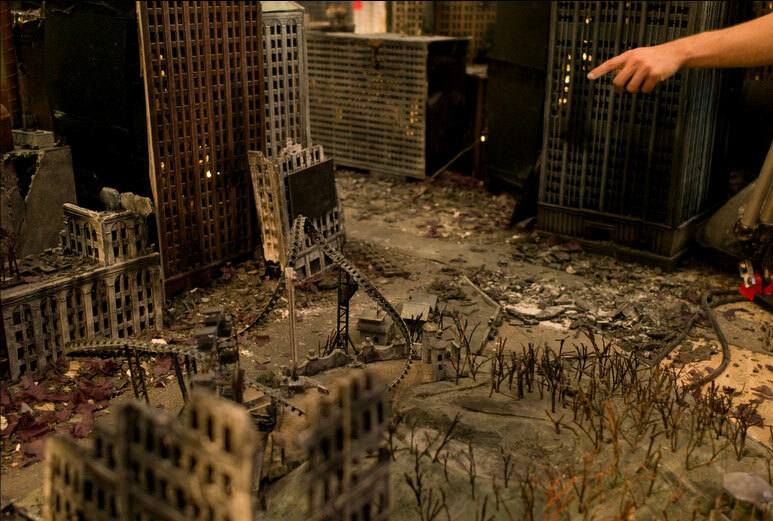 This extraordinarily-detailed, post-apocalyptic Manhattan was later featured in a Swedish music video in which the band members stomp through the model in Godzilla-like fashion. A post-apocalyptic Manhattan, as envisioned by two artists from Sweden. My favourite artist working in miniature, however, remains American photographer and diorama-artist Lori Nix. 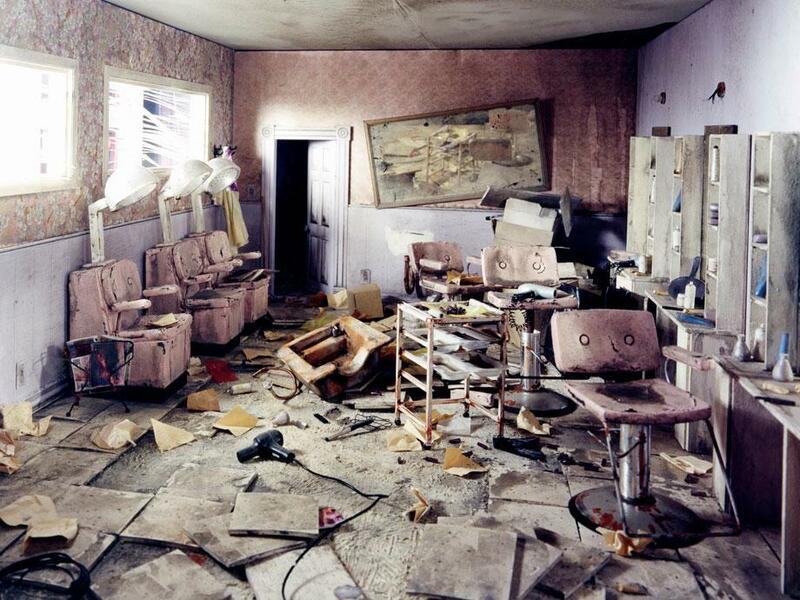 Blending a canny mixture of black humour with dread, she creates such varied post-apocalyptic miniature scenes as a burnt-out, long-abandoned beauty parlor, a subway car that has been gradually reclaimed by the surrounding sandy beach, and the interior of an empty mall which has been invaded by flora. 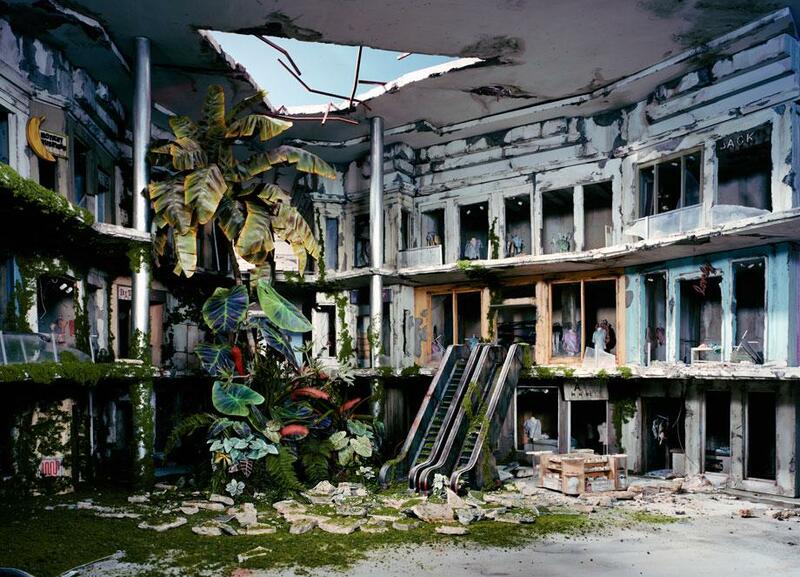 Through her constructed dioramas, Nix “…imagines a human-less world where Mother Nature has reclaimed our cities.” (source). “Mall” by Lori Dix, 92″x42″x100″.